« Konan’s George and Summer Truong make Junior World Team! 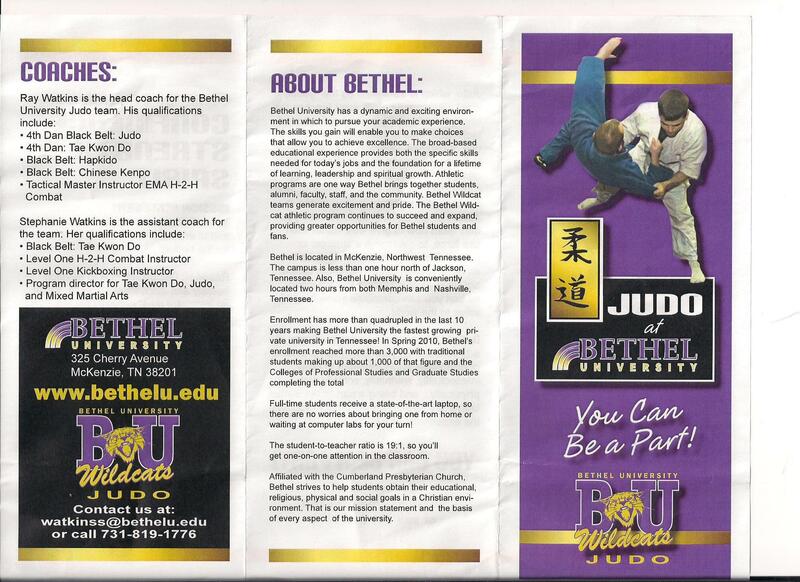 Bethel University, a small college in Tenessee has started a judo program and is offering judo scholarships. 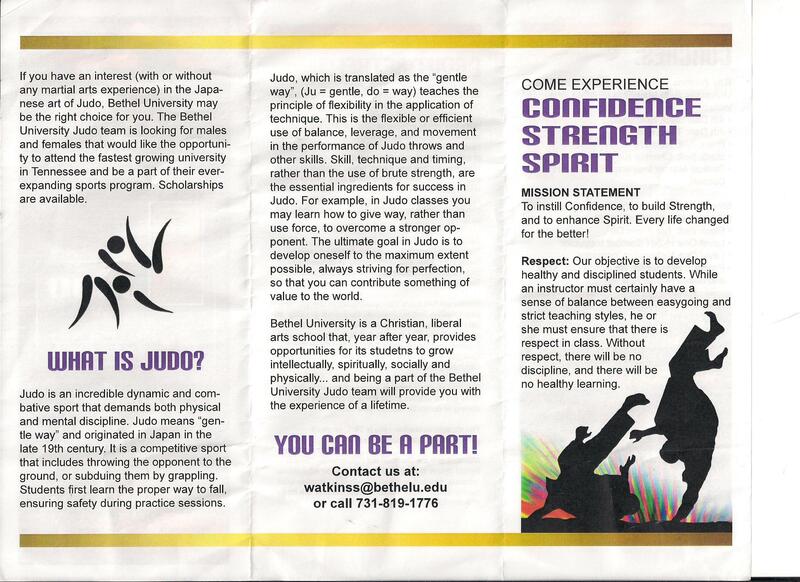 Bethel belongs to the National Collegiate Judo Association (NCJA) (click here for info), which is supported and endorsed by USA Judo. This is not yet an elite judo program but may be a good way for judo players to fund their education and get exposure to collegiate level judo. This entry was posted on August 8, 2011 at 6:00 am and is filed under Judo News. You can follow any responses to this entry through the RSS 2.0 feed. You can leave a response, or trackback from your own site.